Research, brand development and label design for an emerging Hill Country winery. 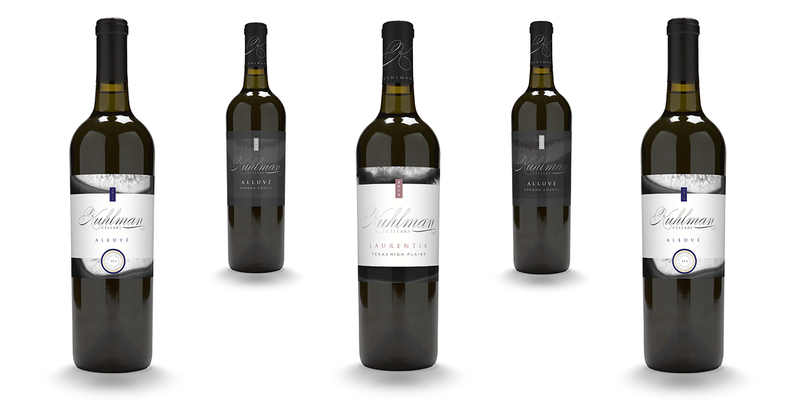 Kuhlman Cellars is a winery located in the Texas Hill Country that produces wine for vino lovers across the state. When Kuhlman team initially approached MODintelechy, everything but the vineyard itself was still a concept. The founders sought our expertise to build the marketing strategy as well as the brand from the ground up. Since Kuhlman approached us at the brand's earliest stage, we needed to first understand their target demographic, their competitors, the current state of the market and predict any future factors that could potentially impact the winery. Conducting this important and extensive research phase then allowed us to move forward with officially selecting a name for the winery that would resonate with the target customer. We ultimately selected Kuhlman Cellars, derived from the nearby Kuhlman Creek, which originates on the owners’ family farm. Once the concrete details regarding the brand name and identity were set in place, it was then time to begin individual product naming and label design for Kuhlman’s various wines. The names for each of their blends were inspired by geologic formations found in the wine’s area of origin. Kuhlman Cellar’s blends are at the very heart of the brand, so with that in mind, we created creative for the labels that reflected the beauty found in natural elements, particularly stones and geode patterns native to those areas, like Calcaria and Barranca. "Kuhlman Cellar’s blends are at the very heart of the brand, so with that in mind, we created creative for the labels that reflected the beauty found in natural elements, particularly stones and geode patterns native to those areas, like Calcaria and Barranca." 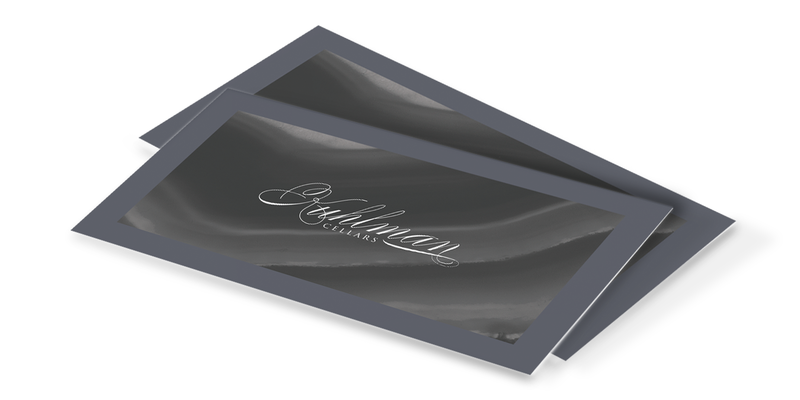 Establishing Kuhlman Cellars’ cohesive brand identity and creative for their labels allowed the winery to open their doors to the public and begin distributing their wine across the state. Now in full operation, Kuhlman Cellars offers several wine varietals, membership to their exclusive wine club, as well as regular vineyard tours and tastings. The products continue to appear in a growing number of stores across the state, and the brand builds an increasingly large following of loyal customers.